My entire life I have had oily/combo skin – leaning towards the oilier side and hormonal acne with the occassional breakout. New is freakishly dry skin in the winter – with patches of dryness that’s itchy and flaky (most likely eczema or dermatitis…) Clearly an easy fix would be to go to the dermatologists, but I chose to spend my money on skincare products – priorities 💁🏻. Through a LOT of trial and error, I found a routine that works for me and helped reduce the red, dry, itchy spots. Ok, enough of my rambling, let’s get into my morning lineup. The start to my skincare routine is really based on how much time I have. Did I hit the snooze button….twice? So, I use two different gentle cleansers with serious hydrating properties to get the job done. This is my I’m-in-a-rush cleanser, that I use about 4 times a week. Unless you’re from the Boston area, or an Etsy shopper – you’ve probably never heard of Threla, and sadly, the owner/ creator has decided to take on a new journey. So once it’s gone.. the hunt of a new cleanser begins (taking suggestions 😘). Previously a chemist/biologist from MIT, Tseh-Hwan was furstrated with lack the natural skin care products. Combining her “passion for natural goodness with a trained scientist’s eye” Threla was conceived. Threla claims that Citrus Mint “cleanses with vegetable-based surfactants and softens skin with emollients.” I love the invigorating citrus scent, and soft tingling feeling that helps wake me up. I’ve tried other cream cleansers, but I always come back to Citrus Mint. A truly incredible cleanser and brand that will be sorely missed. 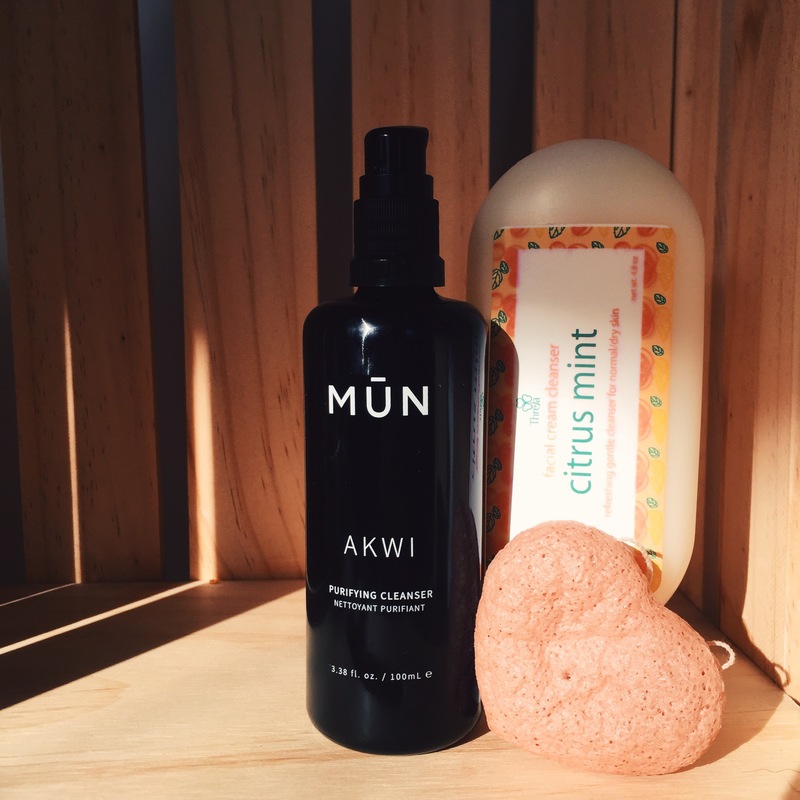 Akwi is MUN’s latest skincare product and does not fall short. A gentle, creamy oil based blend with herbal notes helps to rid the face of impurities, unclog pores, and remove makeup, but gentle enough to use around the eyes. I personally find that I enjoy this cleanser the most in the morning vs evening. 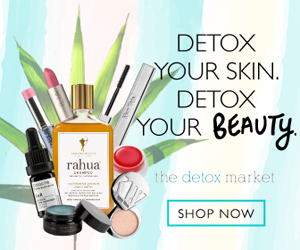 Containing the highest forms of Castor oil for a powerful detox, Argan oil that does wonders for the skin due to its nutrient dense properties, and antioxidant rich Camellia seed oil. As with all oil cleansers, MUN suggests using a warm cloth to help emulsify and remove the cleanser. I prefer to use One Love Organics The Cleansing Sponge. Konjac sponges dry faster, have antibacterial properties and really help to dislodge any unwanted debris. You can read my full review here. Together my skin is feeling pleasantly soft, mositurized, and most importantly clean. PS…All MUN products are 20% off on www.munskin.com until Christmas! Once a week, generally during the weekend, I like to take my routine one step further with an exfoliant. Although my skin leans towards the normal than sensitive side, any more than this makes my skin not so happy. This wonderful cleansing clay helps to dislodge any unwanted blackheads and debris, and smooth the complexion to give you a glow from within appearance. How? The dry texture and clay mix acts as a natural exfoliant, meaning you don’t need to “scrub” your face. You can read my full review here. Because the process is rather messy, I use The Clean Dirt during my morning shower…and I enjoy the chai-tea latte-like scent to wake me up on lazy weekends! An energizing blend of cleansing clays, warming spices and healing salts lifts impurities while a surge of H2O-activated Vitamin C encourages cellular rejuvenation and increased blood flow…This stimulating treatment transforms and refines skin’s appearance with a potent cocktail of exfoliant, leaving you velvety smooth and gorgeously radiant. Pour roughly 1 teaspoon of the powder into your hand (I eyeball it…) and slowly drip water into the powder. If you add too much water at one time…the powder goes flying EVERYWHERE 😖 Blend together until you achieve a foaming, soft mousse-like texture. Massage into the skin avoiding the eye area. A warm, tingling sensation may occur from the mix of warm spices. Rinse off and enjoy your radiantly smooth skin. When I first received the Hydrating Accelerator in my Beauty Heroes box, I thought it would be a dud (not the biggest fan of spray toners/mists). Completely and totally wrong. I use it every time I wash my face – morning and night. The Hydrating Accelerator has become a crucial part of my skincare routine to add hydration and soothe the skin with the help of aloe. Plus, it has a incredible spray top, that evenly mists your face. Perfect to be used as a toner, catalyst for your serums or moisturizers, makeup finishing spray, or if you need a mid day pick me up. After cleansing and drying the face, hold the bottle roughly 6-8 inches away from your face. 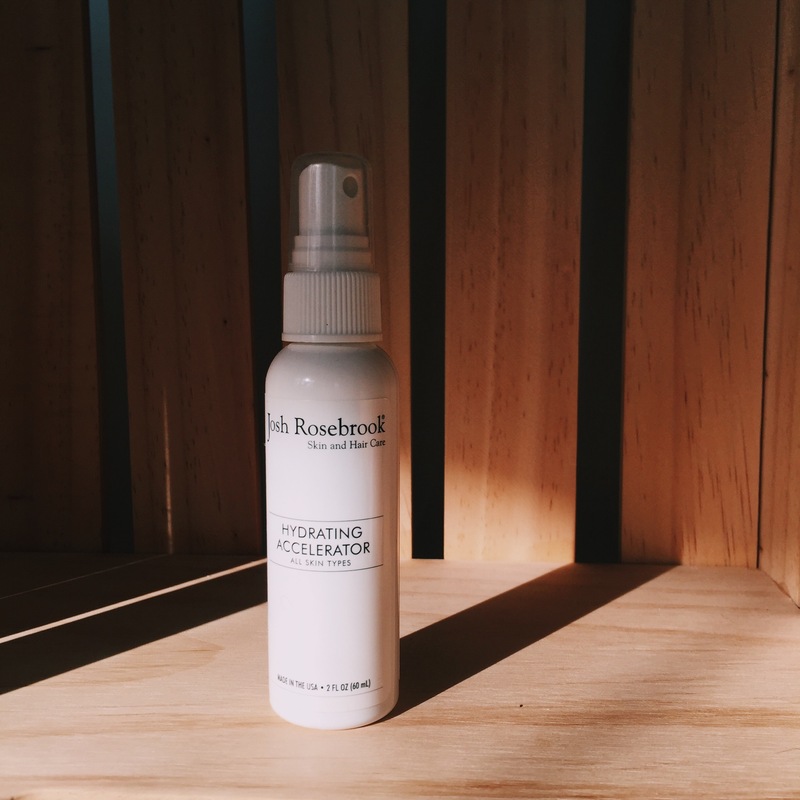 Spray 3-5 pumps onto your face, moving your face to ensure an even application. I find that 3 pumps is more than enough – 1 pump straight on, and 1 pump on each side of the face. 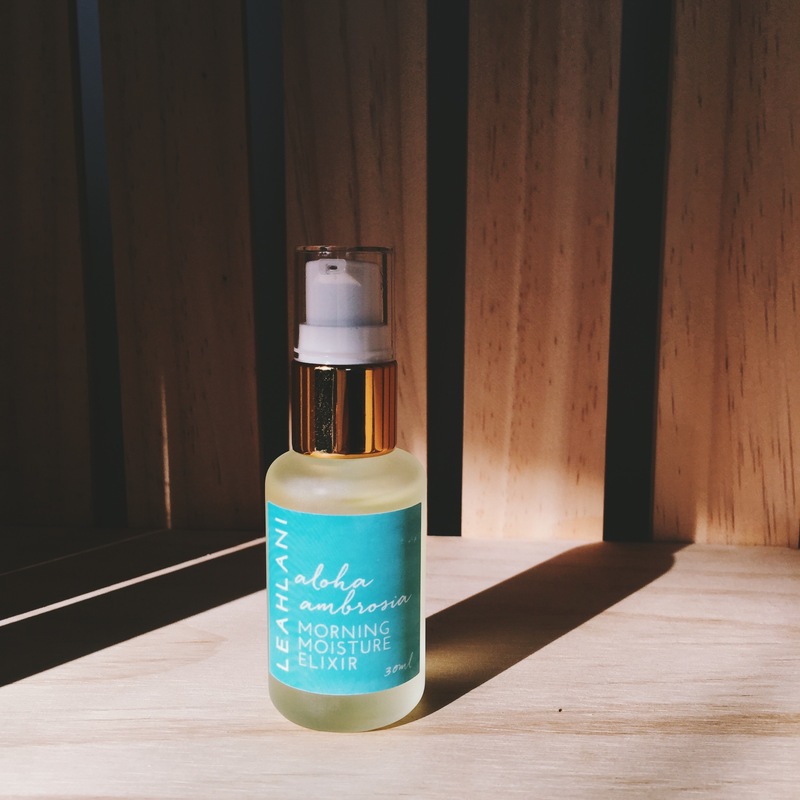 Seriously, this is hands down my favorite morning serum/oil/elixir….EVER. Aloha Ambrosia has a feather light consistency, making her ideal for daytime use. She absorbs like a dream and moisturizes to perfection. This beauty will help to strengthen, soften, and repair the skin while filling in fine lines. 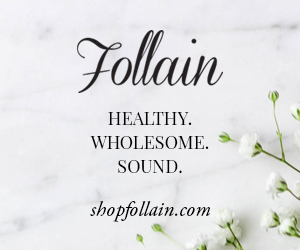 Your skin will feel soft and supple, and ready to take on the day. Bonus? She smells of sweet flowers and tropical rain-showers. Everything above is completely true. Lightweight, dry finish perfect underneath makeup…CHECK! Quickly absorbs and strong enough to use as a moisturizer? ✔️✔️ Softens and helps my baby wrinkles? ✔️ Divine jasmine scent…✔️✔️✔️ The scent seriously brings me back to my Hawaii days. Anndd… Jasmine essential oil isn’t just a pretty scent – it restores the skin by balancing moisture, reduces dryness, and minimizes breakouts due to the antiseptic and antibacterial properties. Leahlani formulated the Elixir to have incredible oxygenating and regenerating properties (which I desperately need to combat my dry skin) and to strengthen, soften and repair the skin. Your skin will literally drink up all the goodness packed into this wonderful concoction. 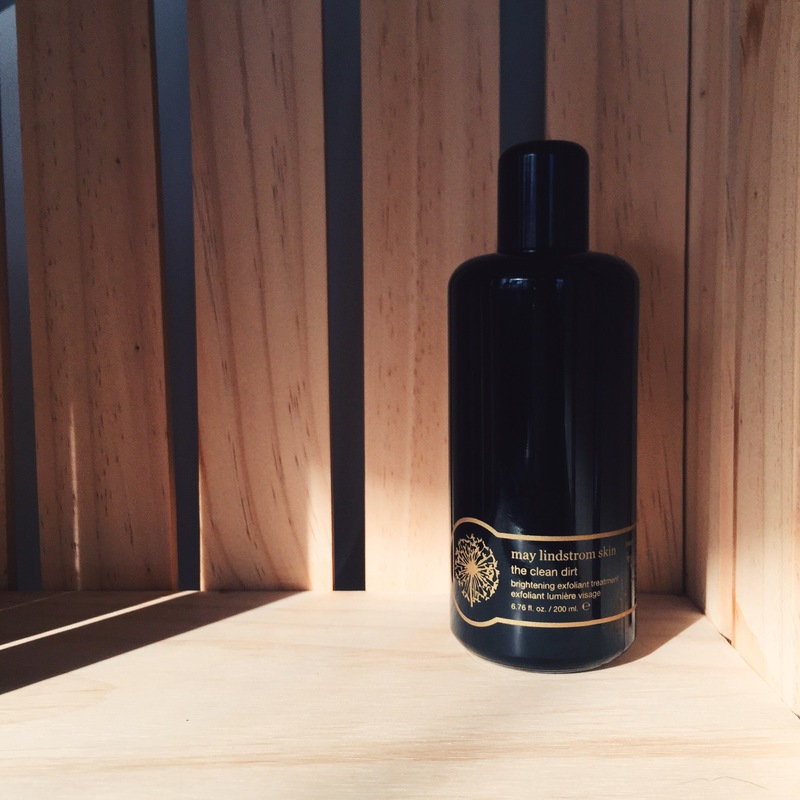 After cleansing and toning your face, give the Elixir a good shake. Pump 1/2 to full pump into your hand (half a pump works for me) and gently warm the oil between your hands. Gently “press” or massage into your face and neck – I prefer the pressing method to ensure the Elixir is fully absorbed into my skin. Then, wait a few minutes before moving on and let the Elixir work its magic! Ready for something crazy?! More than 50% of the Skin Dew is made from pure, mineral rich coconut water! This brand new Dew (get it? I’ll wait…) combats dryness and promotes balanced, healthy-looking skin with the help of powerhouse ingreidents. First is Cupuacu Butter a moisture rich ingredient that helps to neutralize free radicals and aging. Acacia, jojoba, sea algae, Vitamin E and sunflower oil helps to protect the skin with antioxidants and seal in moisture. I find there is a very slight coconut scent, but is other wise fragrance free making this unisex and wonderful for all skin types. The texture is like a soft whipped cream similar to La Mer’s Moisturizing Soft Cream that quickly absorbs into the skin, leaving me with supple, plump and hydrated skin. Apply a pea-sized amount to freshly cleansed and toned skin. It’s not necessary to use a treatment serum, but if you do, apply the Skin Dew on top of the serum. My skin gave me a present this year… a sunspot. After that I knew it was time to start wearing sunscreen. 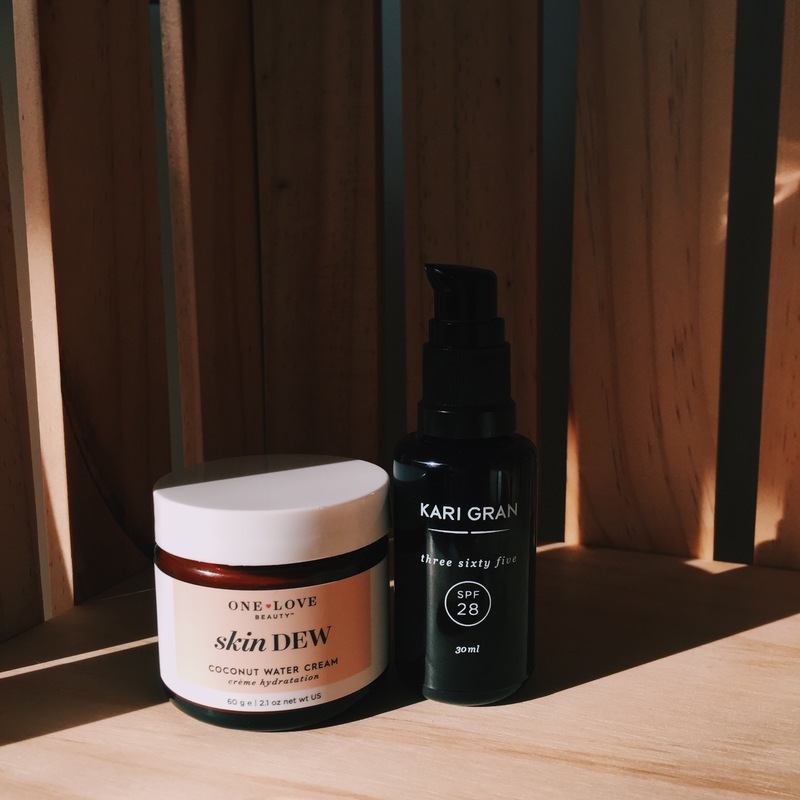 Kari Gran’s SPF 28 is a broad-specturm (protects against UVA and UVB rays) sunscreen that is meant to be worn rain or shine without the gross sunscreen smell and feel. 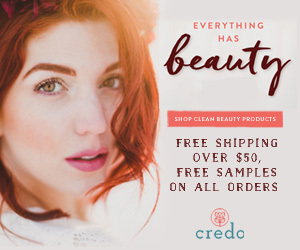 Six out of the 9 ingredients are oils that help to protect and treat the skin. A little goes a long way, so I often mix into my moisturizer before applying. Oddly, not all sunscreens protect against UVA rays (rays that age the skin) making Three Sixty Five a wonderful, natural choice. You can read more about this sunscreen in a previous post here. PS…All Kari Gran products are 10% off at www.karigran.com until December 31st! This is the very last, but most important step because most people forget how fragile the skin under the eyes is! Cucumber and horse chestnut revitalize the eye contour, generating a radiant glow. Rosemary enhances skin elasticity. Arnica brightens the skin and coneflower stimulates healthy skin renewal while prawn sage exerts its powerful cell-revitalizing activity. Wild carrots are high in antioxidants and vitamins and are essential for skin repair. I love, love, LOVE this stuff (and so does my boyfriend). I originally received this product as apart of my Beauty Heroes box, and I am SO happy I did. You can read my full review in a previous post here. 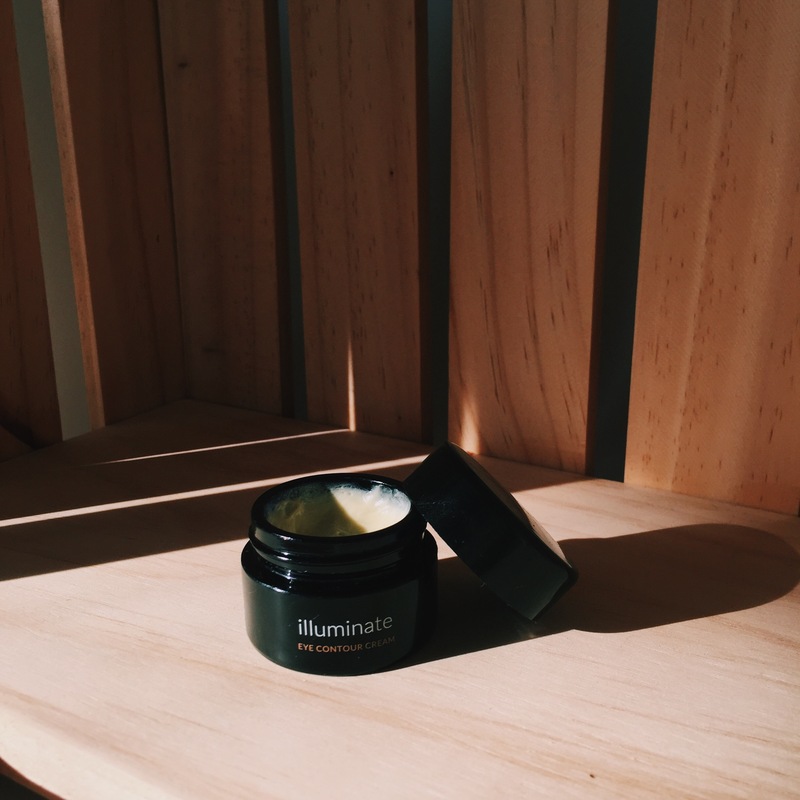 I will be honest, the suggested “shelf life” of Illuminate (2 months) is disappointing, especially due to the large size of the jar, and how little you need per use. With that said, I’m not opposed to using a product after it’s shelf life… And the results are incredible. Within two weeks of use my undereyes had de-puffed, dramatically lightened and the skin is as soft as a babies bottom! After finishing my skincare routine, I gently dip a small, round metal applicator into the cream. I say gently because less than a 1/3 of a pea-sized amount is all you need and if you go overboard, you may end up with oily undereyes. Using the metal applicator, I massage Illuminate under my eyes, then in triangle shape, and then in a circle starting under my eyes and up to my eyebrows. This helps to increase circulation and release any tension around my eyes. Of course, you can use your ring finger to gently pat the product into place! I hope this is helpful in your quest for the perfect Winter lineup. Finding a routine that worked for me took some time, and had some unfortunate mishaps (don’t go sample crazy). Just remember, everyone’s skin reacts differently to each product, and while these are my essentials… they may not be yours. But no worries! I’d love to know what you’re using instead! Please share below in the comments section!! Avid enthusiast of living life, green product junkie, and being fashionably comfortable. Oh, and I'm mildly obsessed with my dog. Woof.